Today every company should be considering how to make the most of social media for their business. A social media strategy is the starting point in order to execute and measure your social media activity effectively. If you have tried social media and your impact has been limited, you need a social media strategy. With so many social media platforms from Facebook and Twitter to LinkedIn and YouTube to name but a few, it’s essential to identify which channels and tools will work for your business and maximise return on investment. Is your business blogging? Find out what the advantages of blogging are and how best to utilise your company blog to engage with your customers. This course is run in association with SocialB, an award winning social media company who know first-hand that at the heart of any social media strategy should be a plan that limits the effort to directions and delivers real and measurable results. This course is ideal for anyone who is planning to make use of or is currently using Social Media. No prior knowledge is needed. The course who will take you through how to develop a social media strategy which can be incorporated into your overall business marketing plan. This starts with looking at your target audience and the right platforms for your business. You’ll learn about the types of content which best engage your customers including how to use blogs to attract customers and enhance your online reputation. You will leave this social media course with a basic understanding of SEO (search engine optimisation) in order to utilise blogs for search engines and customers. Alongside this you will get tips on how and what to write about and the tools to promote and market the success of your business blog. 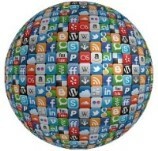 • Why is social media so important for businesses? • Resources - you don't need a full time social media expert! The course runs from 9:00am through to 12:30pm. Refreshments are available from 8:45am. Good course, well delivered, informative etc for beginners. Would recommend to those starting out! I liked the various examples (such as Sainsbury's) that were used - it's always useful to know about companies that are using their social media platforms well. The course was really beneficial, helpful and bespoke. I learnt more that I had expected which was great. Trainer was very approachable and helped lots. An excellent overview which puts everything together with instructions on how to proceed. Really good course, well presented across a diverse range of students. I've never been on a course before where I have been talked to for 3 1/2 hours and been so enthralled! Well done! Maybe more interactive like breakouts into small groups, less PowerPoint heavy.